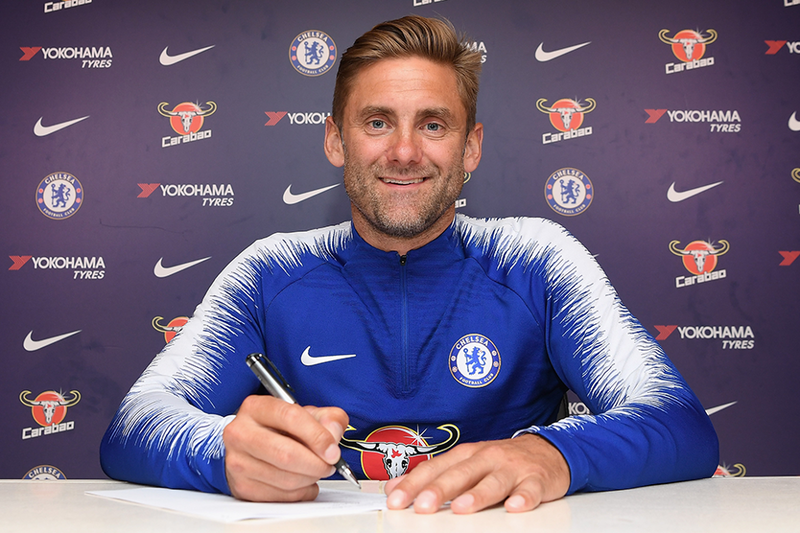 Chelsea have completed the signing of goalkeeper Rob Green. Green has agreed a one-year deal after moving to Stamford Bridge on a free transfer. The 38-year-old, whose contract at Huddersfield Town expired this summer, is a vastly experienced goalkeeper who is expected to provide cover for Thibaut Courtois and Willy Caballero. "It has been a whirlwind 24 hours," Green told Chelsea's official website. "You are thinking about your career and where you want to go and then you get a phone call like this, and it is a short conversation. Green started out at Norwich City, with whom he made his Premier League debut in the 2004/05 season. He accumulated a total of 267 appearances with the Canaries, West Ham United and Queens Park Rangers, amassing 33 clean sheets. He also spent two campaigns with Leeds United outside of the top flight. Green has been capped 12 times by England, whom he represented at the 2010 FIFA World Cup. Chelsea begin their 2018/19 campaign with a trip to Green's former club, Huddersfield Town, on Saturday, 11 August. 🎥 You can watch Rob Green's first Chelsea interview in our app now!